Curling on natural ponds seems to have been very popular in the Mount Blair area. The archive knows of 2 ponds – at Glenshee Lodge and at Kindrogan, though there were probably many more. 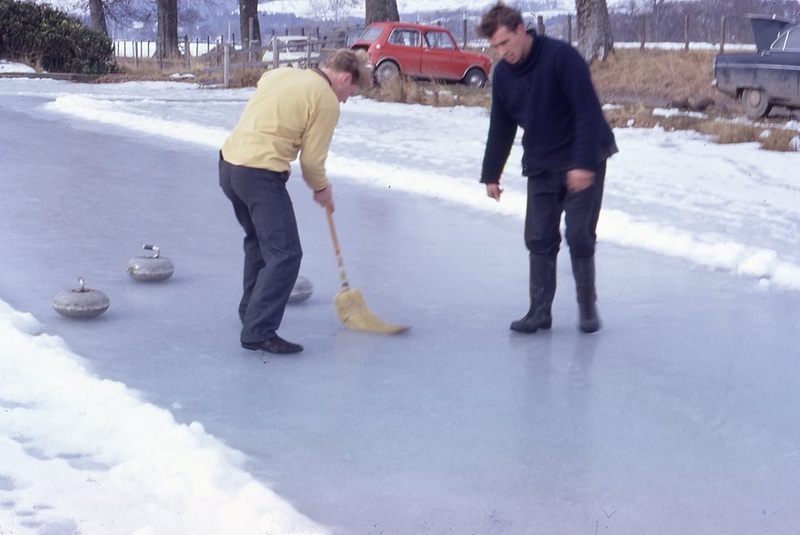 Non of these ponds are now used for curling – possibly a sign of milder winters. This page was added by Sally Gingell on 07/05/2016. 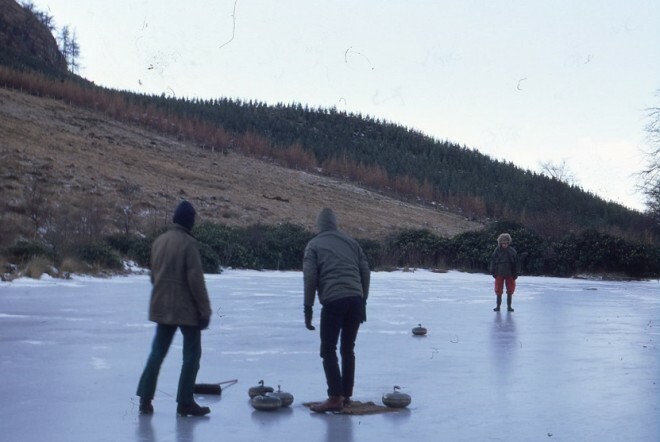 The Kirkmichael curling pond and its adjacent stone built club hut still exists behind Croftmuir Farm on the B950.